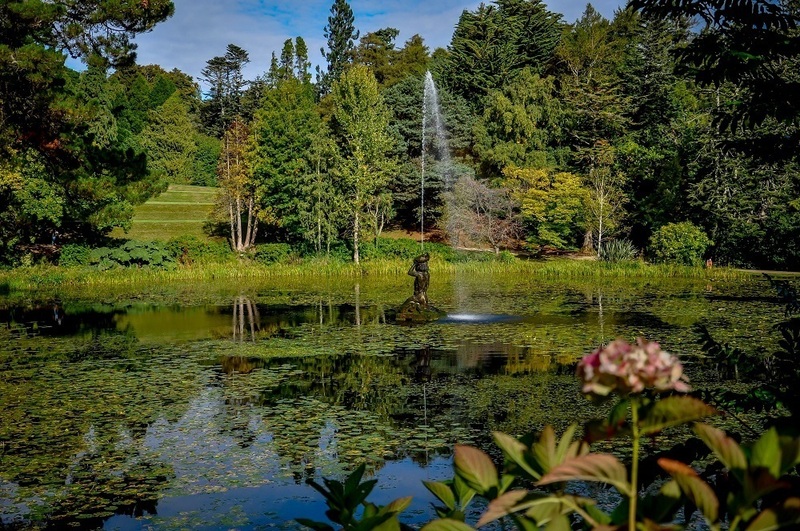 The first thing you notice at The Powerscourt Gardens is the silence, punctuated only by the wind gently rustling the trees. The first view of the gardens from the manor house imparts a sense a wonder – a lush lawn sloping gently downwards to a pond framed against the Sugarloaf Mountain in the distance. This is one of the most impressive gardens in all of Europe. About an hour southwest of Dublin in the lush green foothills of the Wicklow Mountains is the Royal Powerscourt Estate. You approach the 49,000 acre estate through wooded lane – a mile-long avenue of beech trees leads you directly to the front door of the estate manor house. The lavish three-story manor house was renovated in the 18th Century and has 68 rooms. 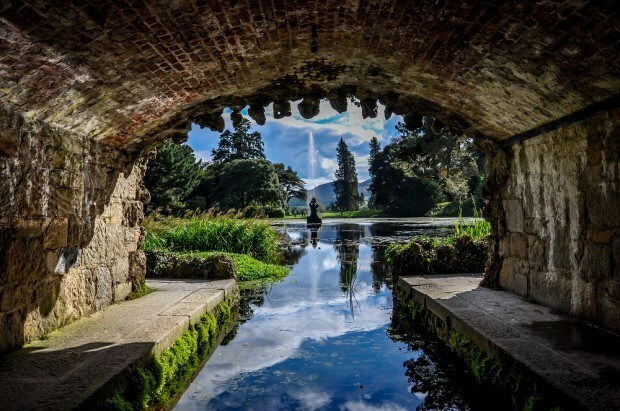 Since the 13th century, the Powerscourt family has overseen this slice of the Wicklow Mountains. Their crowning achievement is the magnificent 47 acre Powerscourt Gardens, which are some of the finest in all of Europe. 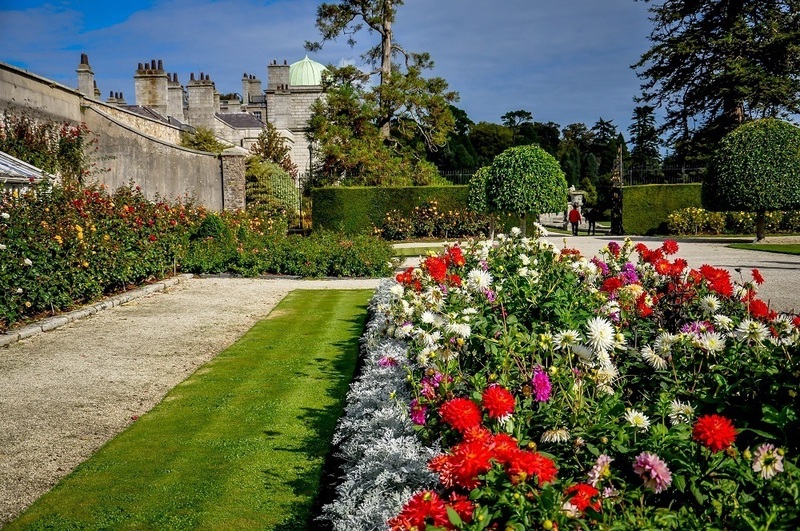 Originally designed after Versailles in France and the Schönbrunn Palace in Vienna, the Powerscourt gardens have taken on a decidedly Irish flair – incorporating elements of beauty and grandeur with humor and wit. 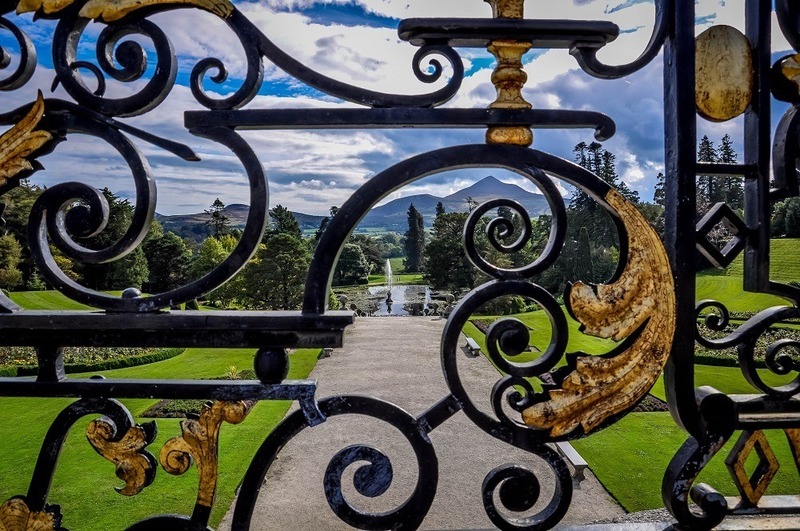 The Powerscourt Gardens are laid out on a one-hour walking tour taking in the best of the Powerscourt Estate. This one-hour walk takes visitors through Tower Valley, the Japanese Gardens, the Pet Cemetery, the Walled Gardens and returning to the Powerscourt Estate Manor House. Perhaps the highlight of the Powerscourt Gardens is the pet cemetery. This isn’t something inspired by Stephen King, it’s more like the aristocratic version of burying the dead pet goldfish in the backyard. 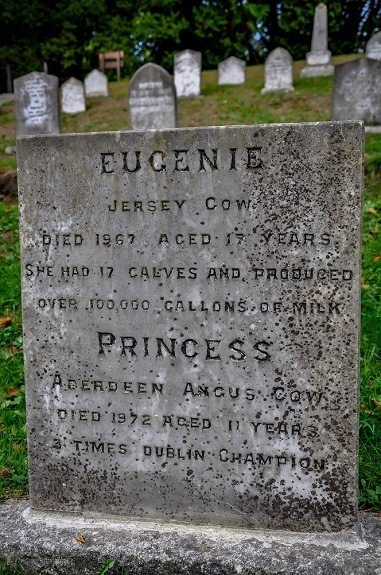 While some of the graves are clearly meant to seriously commemorate beloved family pets such as hunting dogs and the children’s favorite ponies, some of the graves have a tongue-in-cheek humor that only the Irish can pull off (the milk cow who produced over 100,000 gallons of milk). The focal point of the Walled Gardens is the magnificent Bamberg Gate – removed from the Bamberg Cathedral in Germany and brought here. Initially, I almost didn’t notice the gate with all the roses in full bloom. The day I was at Powerscourt Estate was incredibly hot. 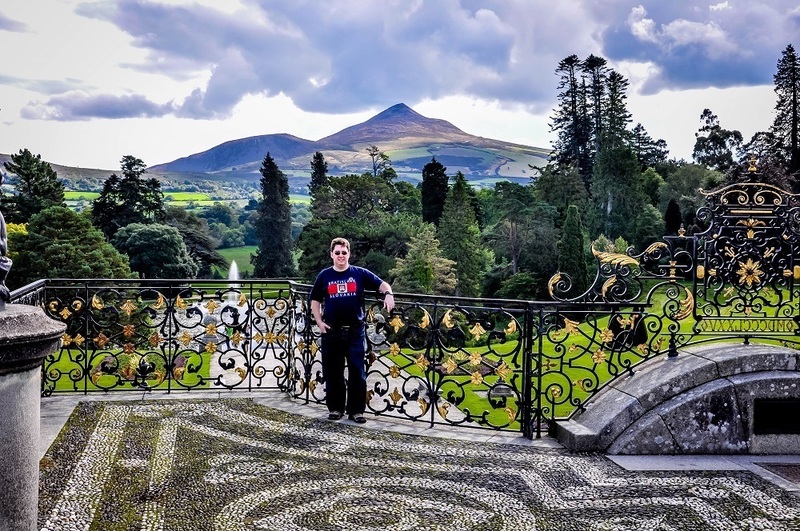 Before leaving, I ordered an ice cream and sat in the shade, taking in the stunning beauty of the manicured lawns and the Sugarloaf Mountain in the distance. 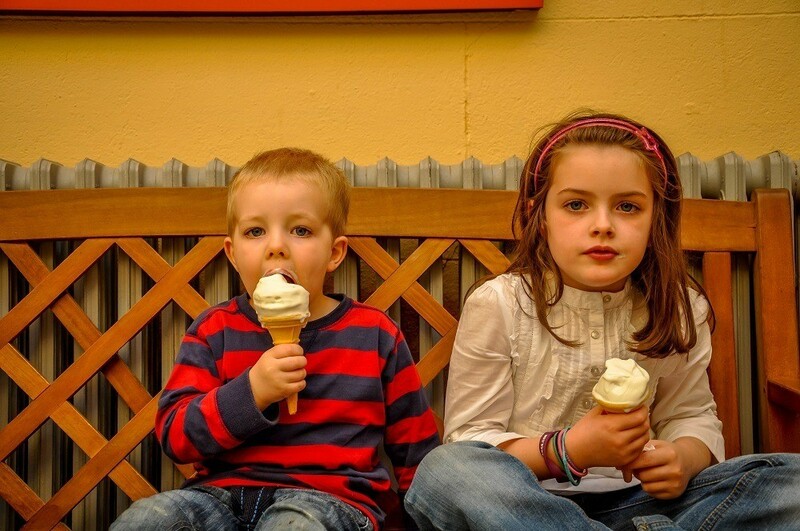 As I leaving, I noticed two beautiful Irish children enjoying their own ice cream and took their picture. It was one of the scenes that perfectly captured the experience – people out enjoying the small details of life and taking time to smell the flowers. And there is no better place to stop and enjoy the flowers than Powerscourt Gardens. Irish kids love their ice cream! We were the guests of Fáilte Ireland, the Irish Tourist Board. All opinions of the beautiful and quirky are our own. 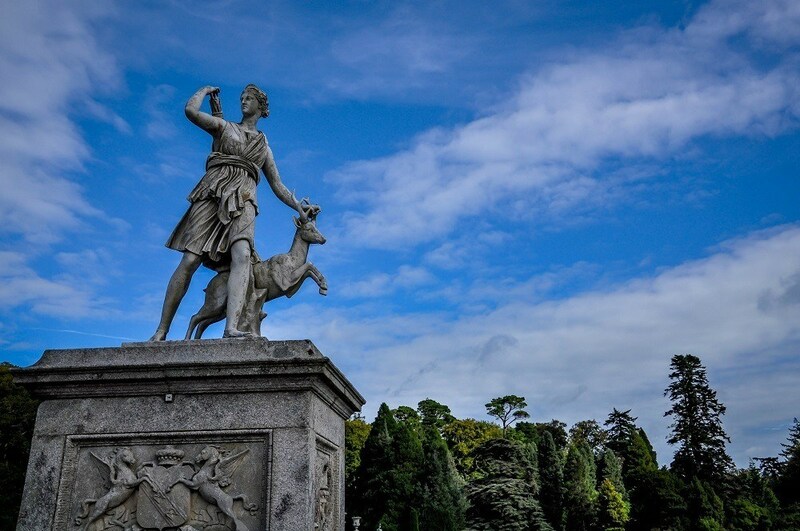 What do you think about Being Royal at The Powerscourt Estate and Gardens? This garden is simply spectacular!! What gorgeous grounds, a beautiful way to spend the day. Irish kids aren’t the only ones who love their ice cream 🙂 Looks like a beautiful spot! These gardens are absolutely stunning! We’ve yet to visit Ireland. We just never think to head there when we’re planning our schedule. I don’t know why since every time I see photos I’m reminded just how gorgeous it looks there. 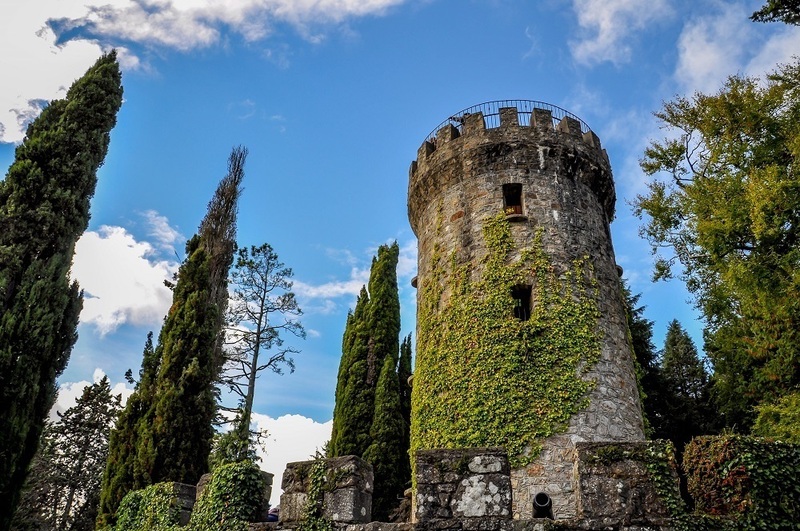 I never heard of this place, but right now I cannot wait to explore this beautiful part of Ireland! 🙂 You took an amazing pictures and I love the way you write! I am going to follow your next adventures 🙂 Happy travels!